Accenture has been named the top company on the Thomson Reuters Diversity & Inclusion Index, which recognizes the 100 most diverse and inclusive companies in the world, according to Thomson Reuters ESG (Environmental, Social and Governance) data. The Index, established in 2016, is one of the most comprehensive measures of workplace inclusion and diversity practices. Creating a diverse board of directors. 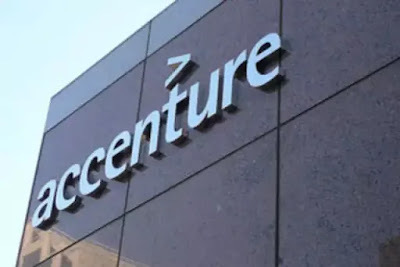 Accenture’s board of directors is diverse in terms of its geographic and gender representation, with people from six countries across four continents and four women, including its lead director. Advancing workplace equality. The company set a goal of having women comprise 50 percent of its global workforce by 2025. Today, women comprise 41 percent of the company’s workforce and 45 percent of new hires. Developing talent. The company invested US$935 million in learning and professional development last year, including substantial investments in re-skilling to help its people stay relevant in key areas such as cloud, artificial intelligence and robotics. Committing to transparency. The company provides its workforce data in many countries. For example, Accenture was the first professional services company to voluntarily publish comprehensive workforce demographics – including gender, ethnicity, persons with disabilities and veterans – in the United States. To compile the Index, Thomson Reuters assessed publicly available data for more than 7,000 publicly traded companies around the world. The companies were measured on 24 separate metrics across four key categories: Diversity, Inclusion, People Development and News Controversies. The Index was then calculated by weighing each metric based on importance in the market and how each company compares with its peers. The Thomson Reuters ranking is the latest in a series of inclusion and diversity recognitions for Accenture, which is committed to ensuring that all of its people – regardless of age, ability, ethnicity, gender, gender identity and expression, religion or sexual orientation – have the opportunity to succeed. Among the dozens of lists on which the company has been included in the past year are: Corporate Responsibility Magazine’s 100 Best Corporate Citizens globally; the Disability Equality Index in the U.S.; DiversityInc’s Top 50 Companies for Diversity in the U.S.; the Human Rights Campaign’s Corporate Equality Index; Nikkei Top 100 Companies for Women in Japan; The Times Top 50 Employers for Women in the UK; and Working Mother & AVTAR’s 100 Best Companies for Women in India.